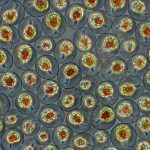 For a little more than a year I have been experimenting with a new entrant into the North American ornamental fish food market. I first encountered New Era products at last year’s MACNA in Dallas when Todd Gardner and I came across their booth on the showroom floor. 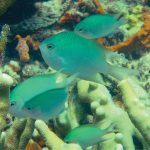 A well-established line of foods in the UK and Europe, Todd was also familiar with them because of their wide use in the professional aquarium and aquaculture worlds. Claiming very high nutritional content, sustainable sourcing and reduced waste, I was anxious to try out their varieties of pelleted and flake foods as I firmly believe that fish health is greatly improved when frozen foods are regularly supplemented with more nutritionally varied dry fare. 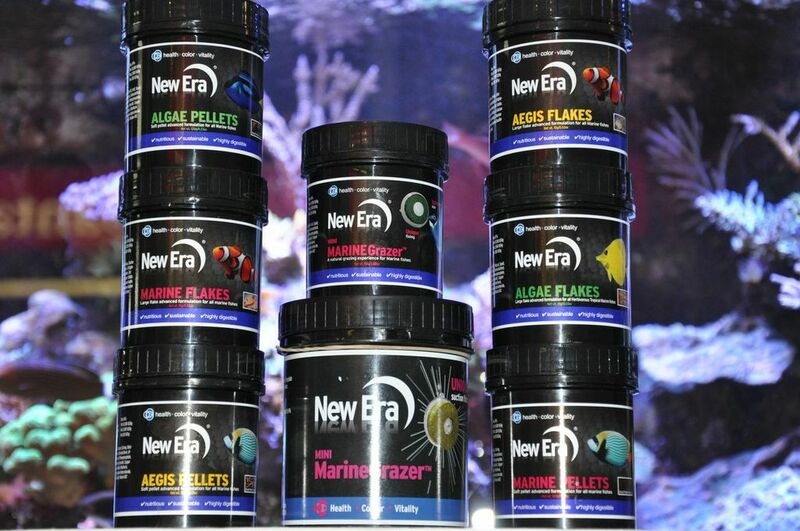 The New Era product line boasts both flake and pelleted foods with Marine and Algae diets available in both presentations. There is also the new Aegis formulation that claims to aid in fish immune system maintenance. 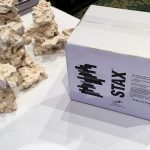 Rounding out the line is their Mini Marine Grazer formulation that boasts a novel delivery methodology –but more on that later. 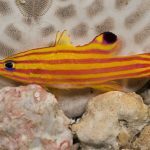 Reviewing and evaluating aquarium foods is inevitably an anecdotal affair as even the advanced hobbyist has little concrete to go on beyond manufacturer claims and their own experiences. For these reasons I decided to use New Era foods almost exclusively (in junction with my typical feedings of frozen Mysis and Pacifica Plankton) for the better part of the past year before commenting on them here. I tend to prefer pelleted food to flake as I find the pellets seem to entice finicky eaters a bit more readily. 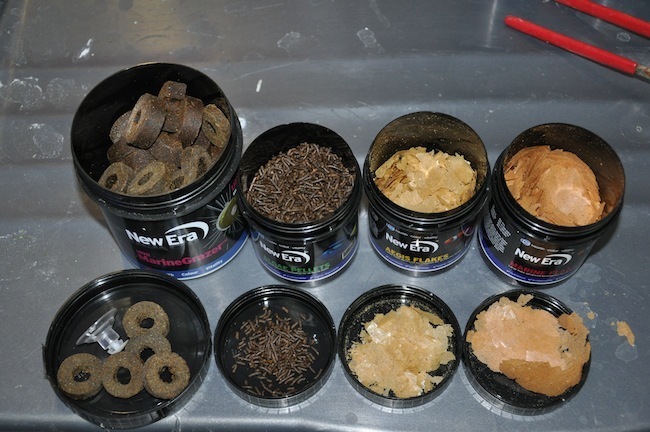 New Era pellets are moist and pliable which make them perfect for all types of fish especially those with smaller more delicate mouths. I have found near 100% acceptance rate among my wide ranging fish collection and have found that even very delicate and fussy eaters like Purple Queen Anthias have taken to these pellets in short order. When fish such as these consume dry fare it makes their husbandry exponentially easier and I have found that I can keep their weight up far more easily because of it. The flake foods also appear to be of high quality. The flakes are large which is good for feeding sizable fish and can simply be broken up as needed. 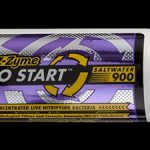 Fish absolutely attack the stuff and this helps encourage reluctant eaters to join in. I typically feed my fish three times a day alternating between mixed marine and algae pellets and frozen foods. I have recently begun to work the Aegis line into the mix as well. Sometimes, I am just not around to feed as often as I would like and New Era has come up with a great way to extend feeding times and provide food throughout the day. The Mini Marine Grazer feed is a dense, moist ring of food that you mount to the provided suction cup and affix to the glass of your aquarium. Fish are then free to graze as they please throughout the day. My guess is that the grazer food is close to a mixture of both the marine and algae pellets extruded into a denser, unique shape. Fish rush to the ring immediately upon introduction and after the initial frenzy dies down, tangs, angels and wrasses casually cruise and graze the ring for hours. Uploaded by Randy Donowitz on 2013-12-12. The Marine Grazer system also has another helpful, unintended use as an easily applied, and very effective bait for a fish trap. I have had great success converting my in-tank acclimation box into a trap simply by leaving it in the tank with the lid open and affixing a Marine Grazer ring inside the box. 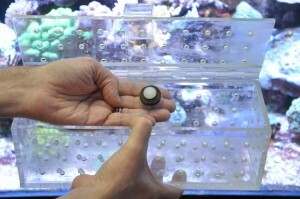 Since virtually all the fish are attracted to the grazer, and unlike using a piece of shrimp or other meaty food as bait, the grazer ring isn’t easily removed and carried off by the most aggressive eater in the tank, it is simply a matter of a little patience until your target swims in for a meal and you can close the lid with ease. I am very pleased with the New Era foods and can say with confidence that my fish have benefited from regular use. My one complaint over the past year has been availability of product. 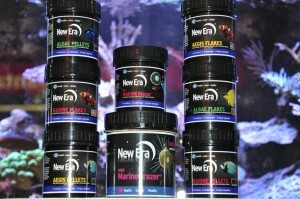 New Era is distributed in the US by Florida based Living Color (of Fish Tank Kings fame) and until very recently you had to order directly from them. Thankfully this situation has vastly improved in recent months as there now appears to be wide national distribution and I’m seeing New Era in most quality retail shops. To find out more about New Era you can visit their website HERE. Great review! Thanks Reefs.com for your support.